Last night I had the pleasure of presenting my lecture on the Abbé Boullan at the incomparable Treadwells bookshop in London. It was a delightful evening with wine, new friends, and familiar faces. I brought in some of my collection of Boullan related rare books and manuscripts to put on display in the shop cabinets. See below for some photos from the evening. 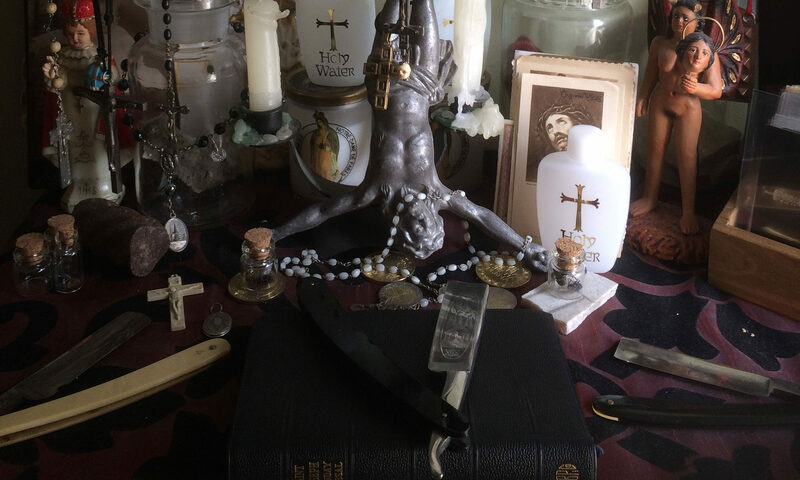 Le Catholicisme Noir: The Devotional Blasphemies of Abbé Boullan! I have been working on this title for some time and its now in the final phases. I look forward to sharing the life and spirituality of this fascinating and much misunderstood figure. You can see more at my author page here.